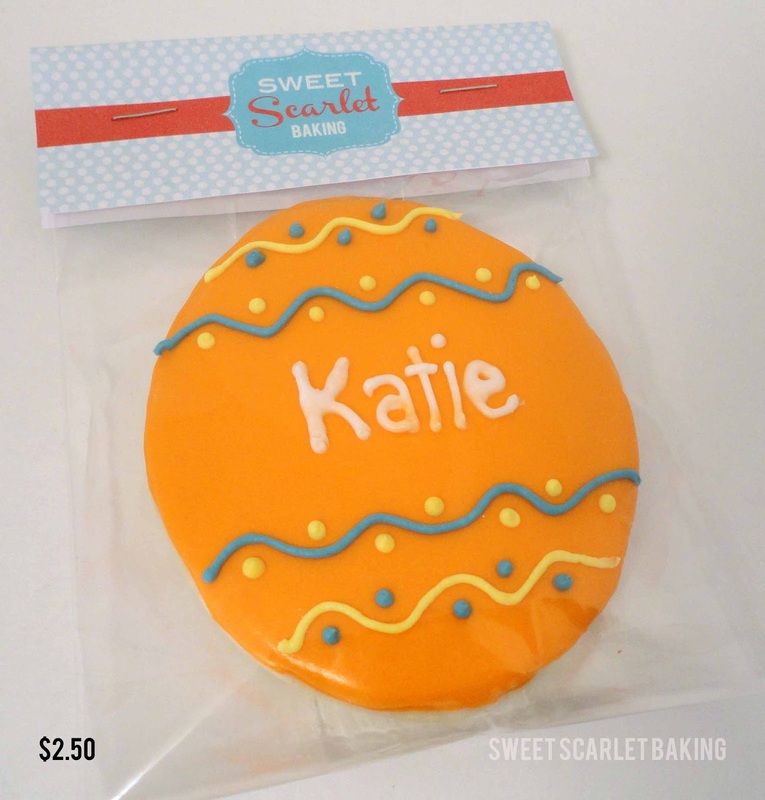 Sweet Scarlet Baking: Hippity, Hoppity, Easter's on Its Way! Easter is on its way! 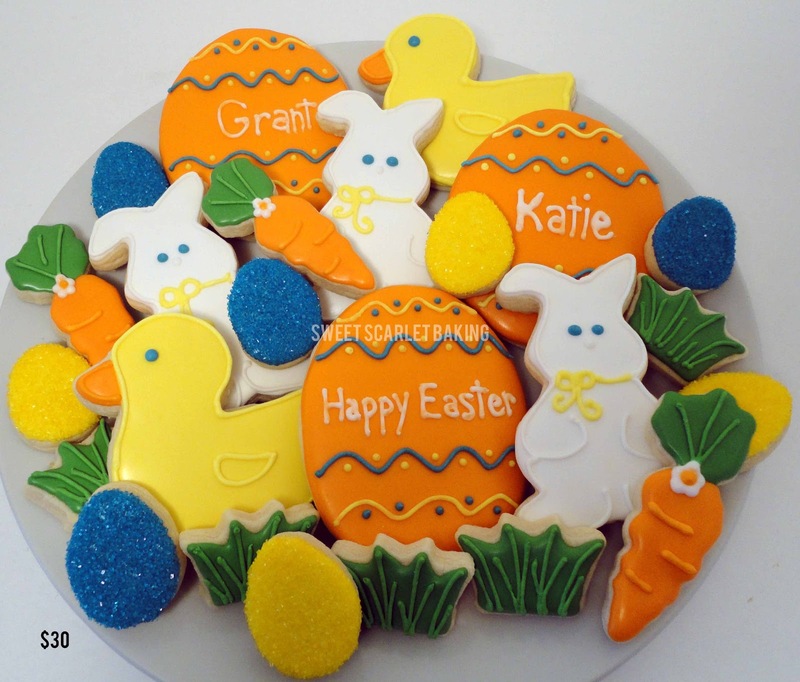 These decorated sugar cookies make the perfect Easter gifts. Serve the above assortment on a platter with your Easter luncheon. 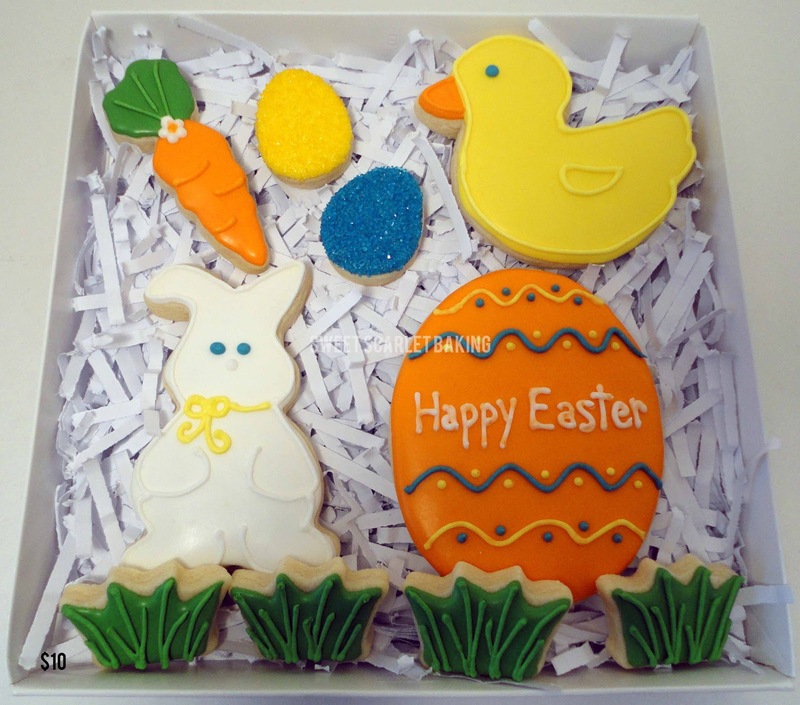 Bring a gift box as a hostess gift for Easter dinner. 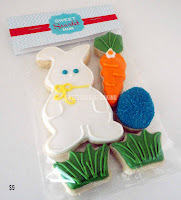 Stock up on Egg and Bunny bags to tuck into Easter baskets. These Easter Eggs also make great place cards for your Easter dinner. Order now for your honey bunnies! will be available for pick up on Friday, March 29, 2013 after 10 a.m.
Inspiration for this assortment came from Lizy B.